We are pleased to announce that Tetra Brazil have agreed to sponsor our U7s Lions, Panthers and Tigers team for the 2019/19 season, for 2 Years and we would like to welcome them on board. The Brazilian style was evident from the first minute of the warm-up which was all about rhythm and coordination. The actual practices were very intense and modelled on quick 1 and 2 touch connections and freedom of movement after passing the ball. Incredibly hard working and quality coaches. TetraBrazil Soccer Schools provide players with authentic Brazilian-based coaching, focusing on techniques and tactics that have helped to mould some of the world’s best players. Our professional coaches out in Brazil have developed the curriculum and have a full-time team based in Rio de Janeiro constantly ensuring it matches the training received by professional clubs across the country. The TetraBrazil program has been running for over a decade now and has expanded and grown due to a high demand for professional soccer training with a unique Brazilian flavour. We currently have over 250 TetraBrazil trainers globally and it has been their high level of commitment and professionalism that has driven our success. It is important to understand that there are different styles of soccer-play all over the world, Brazilians tend to play the ball out of the back with shorter, fast and secure passes, often switching the point of attack quickly. Brazilians train for much longer periods per week on SKILLS than probably any other nation. TetraBrazil therefore encourages technical development; teaching players to control the ball, keep it on the ground at their feet and make sure someone is ready to receive the ball when it is passed. The aims of the TetraBrazil Curriculums are for children: • To have fun • To learn, develop and define technique • To increase confidence and creativity • To contribute as a team player • To improve general health and fitness The Junior Curriculum focuses on the 5-Steps to Success and incorporates The TetraBrazil Awards Scheme designed to assist repeat visits and encourage practice outside of sessions. The scheme is part peer and part coach assessed; there is also a focus on parents completing ‘mock’ assessments thus ensuring that children take an increasing level of responsibility for their own development, that parents are fully involved in the scheme and that there isn’t an over reliance on coaches to complete large numbers of assessments when they could be actively coaching. Evoke Tree Services Ltd have kindly offered to sponsor all our U8 Teams at Panshanger FC for 2018/19 Season for 2 years. They are a local and friendly team of tree surgeons based in Welwyn Garden City offering a range of arborist services, covering domestic and commercial clients across Hertfordshire and North London. We are associated with the International Society of Arboriculture (ISA) and the Arboricultural Association (AA). Gates Ford Car Dealers have kindly offered to sponsor all the U10 Teams for the 2018/19 Season (2 Years), great to have them on board. Make Gates Group the first choice for all your Ford needs, at one of our authorised dealerships across Essex and Hertfordshire. Since opening in 1920, we've been a family owned and operated company, delivering the best choice of vehicles and unrivalled service across North London and beyond. Our stock includes the latest cars and vansfrom the prestigious manufacturer, alongside quality approved used vehicles that perform as nearly new. We're confident that no matter what your requirements, we have a vehicle to satisfy them. Choose from a range that includes the agile KA, exhilarating Focus ST and practical Galaxy for your everyday driving needs, or explore the new Transit, Connect, and more for commercial solutions. We are proud to support the Motability charity's Motability Scheme, and to provide uncomplicated access to modified vehicles for disabled motorists. We strive to give all our customers the best value possible, and constantly monitor our prices as part of our Price Check Guarantee. Our generous offers make your money go further, helping you to find a car or van that may otherwise have been outside of your budget. Deals are extended across our range of new and used vehicles as well as servicing and parts. For further support, we're also pleased to offer flexible finance packages - including Contract Hire on our commercial vehicles and Ford Personal Lease. When you choose Gates, you benefit from dedicated aftersales support that includes servicing, MOTs and repairs – and all work is carried out by our expert Ford-trained technicians using genuine parts. For your convenience, you can also purchase parts and accessories directly from us to personalise your model. Explore the new and used vehicle pages of our website to find the perfect car or van, and browse our finance and offers pages for even more options. Contact us directly to make an enquiry or for further information and we'll be happy to assist. For a test drive or to view the diverse range up close, visit one of our Ford dealerships in Stevenage, St. Albans, Epping, Harlow, Bishop's Stortford and Hertford today. Panshanger FC would like tot thanks Marcoe Electrical for agreeing to sponsor all our U11 teams for the 2019/19 Season (2 Years). Quality, reliable electrical engineering and design for every type of industrial, residential, commercial and construction project. Marcoe Electrical is a UK Electrical Engineering company working with major construction partners to provide a full range of Electrical Engineering design and installation services throughout the UK. Based in Welwyn Garden City, Hertfordshire, Marcoe has built an excellent reputation for quality and reliability through its well know collaborative management approach and an uncompromising commitment to the highest standards. For more information please visit our completed projects page or contact us for more detailed information. Marcoe Electrical has the ability to deliver large-scale projects and a rock-solid reputation for getting the job done on time, and within budget. Marcoe Electrical was established in 1962 to provide high quality electrical engineering services to industries based in the home counties. Over 50 years, the company's capabilities have grown in tandem with its reputation, and Marcoe now brings its vast experience and electrical engineering expertise to complex, large-scale electrical projects across the UK. Marcoe Electrical has worked with many blue chip companies over the years, including Skanska UK plc, GlaxoSmithKline, Balfour Beatty, Cereal Partners UK and Crown House. Grange of Welwyn have agreed to sponsor football all our U12 teams for the 2018/19 and 2019/20 seasons, great to have a locally represented copy on board. When it comes to the greatest names in British motoring, there are few names so redolent with prestige, luxury and performance than Aston Martin, Jaguar and Land Rover. This is why Grange are so proud of our association with these three highly respected automotive manufacturers. Our association with Aston Martin, arguably some of the most sought after cars in the world, has spanned over a decade. In recent years Aston Martin has continued to flourish and push the boundaries of performance, whilst staying true to their legacy of style and luxury. These factors combined make the current, wide-ranging, line-up of the V8 Vantage, the DB9, the V12 Vantage, the Vanquish and the Rapide S are incredibly desirable propositions. Our association with Jaguar dates back to 1983, where we became the first standalone Jaguar Dealership of the company’s modern era. Since then Jaguar cars have become some of the most recognisable and anticipated autos in the world, cultivating a truly international fanbase. The current range of the XE, XF, XJ, F-TYPE and F-PACE are taking on all competitors on the market with the upcoming F-PACE set to blow them away. Our partnership with Land Rover is exciting for Grange. Land Rover are one of the few automotive companies that have retained a single engineering vision throughout their impressive six decades of car manufacturing. The range of Defender, Discovery, Evoque, Freelander, Range Rover and Range Rover Sport offer luxury, capability and strength for any driving conditions. If you are looking for a new or used Aston Martin, Jaguar or Land Rover, look no further than Grange.co.uk and our dealerships in Barnet, Birmingham, Brentwood, Swindon, Welwyn and Woodford. You have come to the right place to find the perfect car from these prestigious manufacturers. 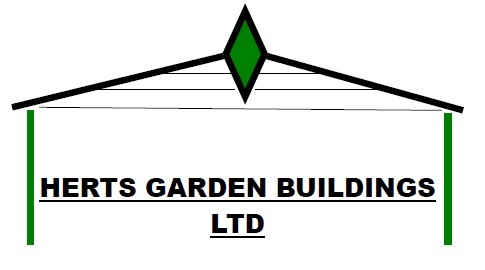 Herts Garden Buildings have kindly offered to sponsor our new U14 Panthers Team, starting in the 2018/19 and 2019/20 Seasons. Please have a look at their website for more details. Panshanger FC would like to thank Advanced Drainage Solutions for donation monies to sponsor our U15 Lions Team for the 2018/19 and 2019/20 Seasons. Grange of Welwyn have agreed to sponsor the U16 Lions for the 2018/19 and 2019/20 seasons, great to have a locally represented company on board. When it comes to the greatest names in British motoring, there are few names so redolent with prestige, luxury and performance than Aston Martin, Jaguar and Land Rover. This is why Grange are so proud of our association with these three highly respected automotive manufacturers. Our association with Aston Martin, arguably some of the most sought after cars in the world, has spanned over a decade. In recent years Aston Martin has continued to flourish and push the boundaries of performance, whilst staying true to their legacy of style and luxury. These factors combined make the current, wide-ranging, line-up of the V8 Vantage, the DB9, the V12 Vantage, the Vanquish and the Rapide S are incredibly desirable propositions. Our association with Jaguar dates back to 1983, where we became the first standalone Jaguar Dealership of the company’s modern era. Since then Jaguar cars have become some of the most recognisable and anticipated autos in the world, cultivating a truly international fanbase. The current range of the XE, XF, XJ, F-TYPE and F-PACE are taking on all competitors on the market with the upcoming F-PACE set to blow them away. Our partnership with Land Rover is exciting for Grange. Land Rover are one of the few automotive companies that have retained a single engineering vision throughout their impressive six decades of car manufacturing. The range of Defender, Discovery, Evoque, Freelander, Range Rover and Range Rover Sport offer luxury, capability and strength for any driving conditions. If you are looking for a new or used Aston Martin, Jaguar or Land Rover, look no further than Grange.co.uk and our dealerships in Barnet, Birmingham, Brentwood, Swindon, Welwyn and Woodford. You have come to the right place to find the perfect car from these prestigious manufacturers.